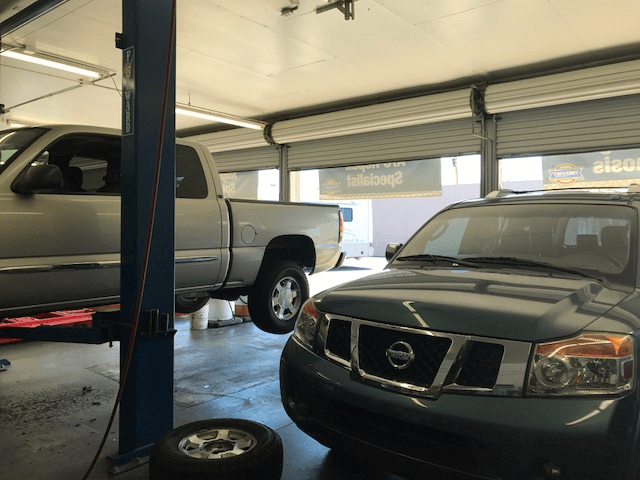 Where can I find quality auto AC repair service near me, Mesa AZ? If this is you, then All Brands Auto Repair Shop in central Mesa, AZ can provide you the right help to fix your car or truck’s air conditioning and heater! We provide auto air conditioning service and repair for all makes and models of cars, 4x4s, fleet vehicles and trucks (and even RV’s!). With summer temperatures often rising above 100°F, your truck/car’s ac becomes a necessity in Arizona. At All Brands Auto, we offer comprehensive, yet cost-effective AC repair services that help you stay cool while driving. A broken air-conditioning belt or leaking refrigerant can cause much more than an uncomfortable trip. From a damaged evaporator, to a failed compressor- the adverse effects of a faulty AC system are many. That’s why expert and efficient quality AC repair work becomes essential. There is nothing more refreshing than stepping into a cool, air-conditioned car on a hot summer day. But, being a machine, an air conditioning system is susceptible to wear and tear. When that happens, contact All Brands Auto. At All Brands Auto, we take air conditioning seriously. Our team of ASE certified technicians can handle any type of AC repair and air condition car service task with ease. If your car’s AC is not as cold as it should be, then the cause could be refrigerant leakage. Such times call for auto AC recharge in our convenient Mesa location. Bring your vehicle to our state-of-the-art automotive repair center for effective air conditioning recharge service. No matter whether your automobile needs a new AC kit or an AC freon recharge, at All Brands Auto in Mesa, AZ, we provide it all. Drop by our shop or give us a call today at (480) 962-6117 to experience hassle-free air conditioning & heating service and repair for your auto!